Pre-employment screening is commonly used by employers as a way to predict how well-suited an individual is for a particular role. And while a common belief is that employers would want to know everything they possibly can about an applicant, the truth is, some things are better left unknown. The things you might want to know and the things you should know can be quite different. Why Wouldn’t You Want to Know Everything? A danger of pre employment screening is this: You can’t un-ring a bell. What we mean by this is the second you find out something that should not be considered in making a hiring decision; it’s hard to prove you were able to ignore that information in making your decision. And this can come back to haunt you later. 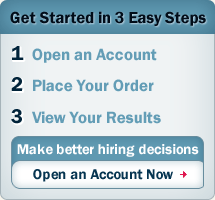 #1 Your applicant has a criminal arrest record. Wait? Wouldn’t every employer want to know if their applicant has an arrest record? Not so fast. Arrests and convictions are two different beasts. Think of an arrest as an accusation. Being accused of committing a crime doesn’t mean the person actually did commit the crime. A conviction, on the other hand, would indicate that the individual was beyond a reasonable doubt, guilty of the crime. For most positions, arrest records have no place in the decision making process. #2 Your applicant has poor credit. Much debate has centered recently on the use of pre employment credit checks in the hiring process. The fact is, credit reports should only be used in instances where the financial responsibility of an individual strongly correlates to their performance or safety on the job. 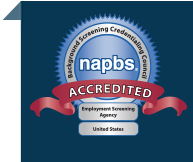 Positions involving national security or FDIC clearances, positions in accounting departments, high level executives, and positions dealing with sensitive personal data of customers or employees are among the roles commonly screened with a credit check. In cases where credit has no bearing on the job, it’s best not to check. Is the President drunk in this photo? Imagine you saw a photo like that of a prospective employee. Would it be right for you to assume that individual is drunk? Of course not. Photos aren’t always what they seem and it’s dangerous to make assumptions based on a photo you see posted on the internet or elsewhere. There are exceptions, of course, but as a general rule of thumb we believe employers can get into more trouble than it’s worth when finding incriminating photos that have not been “vetted” by a qualified background screener. The rumor mill churns out misinformation on a daily basis. Reading something, particularly on the web, about a prospective employee and taking that information as truth is dangerous practice. First of all, who’s to say that the person you’re reading about is actually your applicant? There are 69 people in the U.S. that share my name, Michael Gaul. Media searches and internet searches are good practice when hiring for certain jobs but leave this work to the experience of your employment screening provider. Don’t do it yourself and don’t let your hiring managers partake. How To Avoid Ringing the Bell? The best way to avoid knowing something you shouldn’t is to hire a qualified background screening company. As a consumer reporting agency, we are obligated to report to our clients only what they are legally allowed to know. And that can go a long way toward protecting your organization while also giving you the valuable information you can and should use to make better hiring decisions.